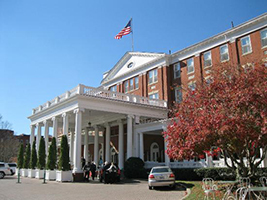 To make your hotel reservation by October 2, please use this link: www.omnihotels.com/hotels/homestead-virginia/meetings/wvsae-2018-annual-conference. We are hosting our Annual Conference November 4-5 at The Homestead and we’re creating an outstanding program for both associate and regular members. Online conference registration is due by October 19. We will have a social function on Sunday, November 4, 2018. To make your hotel reservation, please use this link: www.omnihotels.com/hotels/homestead-virginia/meetings/wvsae-2018-annual-conference. If you would like a suite, you can obtain the group rate, plus applicable upgrade rates, by contacting our Group Reservations Department directly and identify yourself with the WVSAE 2018 Annual Conference Group. The toll free number is 800-838-1766, prompt 1. This toll free number is also helpful to secure advance activity and spa appointments, along with possible dinner reservations and airport transportation. Use prompt 3, for the aforementioned activities.